Sylvester’s “You Make Me Feel (Mighty Real)” was inducted into the National Recording Registry at the Library of Congress. Each year, the registry adds 25 American recordings that are at least ten years old to its collection, selecting works with “culturally, historically, or aesthetically” significance. He grew up going to a Pentecostal church in Los Angeles but stopped going at age 15 as his sexuality became known in his community. His parents didn’t accept him and he moved out when he was in his teens. Related: Welcome to the church of Sylvester. His gospel-tinged disco made us feel mighty real. 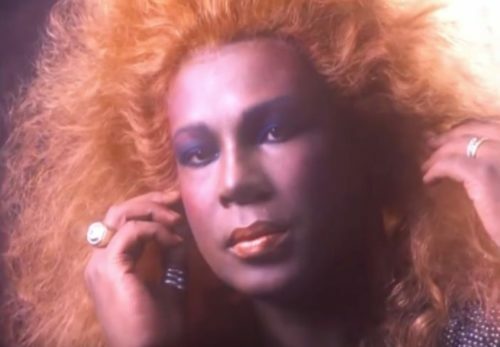 Sylvester eventually moved to San Francisco and joined the drag group the Cockettes, who he left to pursue a solo career when they were touring in New York City. Sylvester passed away in 1988 due to complications related to HIV and bequeathed all future royalties from his work to HIV/AIDS organizations. Other inductees this year include Cyndi Lauper’s album She’s So Unusual, the original cast album from Hair, and Robert Kennedy’s speech on the death of Martin Luther King.